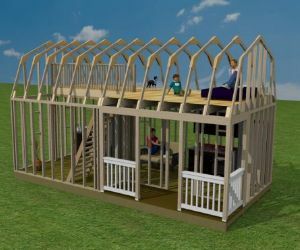 The following shed homes plans can be used and modified to build yourself a neat shed home, tiny house, or small cabin, or backyard home office. 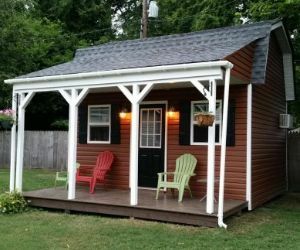 She sheds, studios for musicians, man caves, or even bungalows to house your visiting guests. If you've got that aging parent or grandparent that needs a place to live, build it with one of these very affordable and easy to use plans. The one nice attribute about these small homes you can build with these plans is that they all have huge lofts. 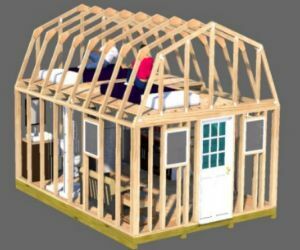 Typically the loft area can be used and modified to suit your needs for sleeping areas, especially with the gambrel style roof that offers lots of headroom space because of the truss design. Easy to understand construction plans that are in full color and detailed. Materials list for shopping and to use while building. Email support from John, the shedmaster and owner of shedking. 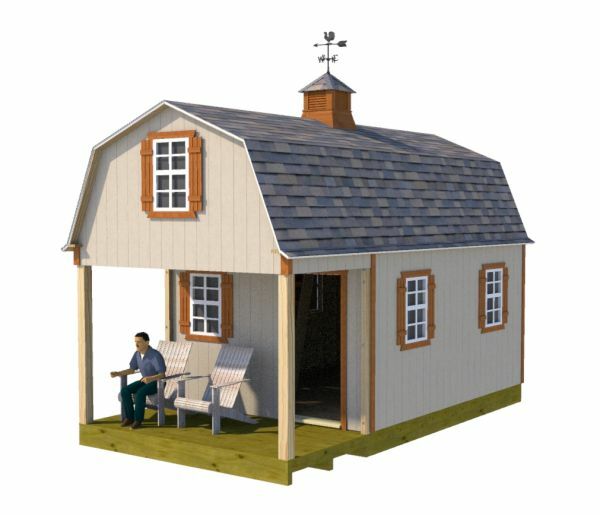 Free cupola plan with your purchase. Build and design your floor plan any way you wish. Add a small kitchen, bathroom with shower and toilet, and a customized sleeping area in the spacious loft areas. Add or remove doors and windows and place anywhere you want with detailed information on this in the building guide. These plans show wooden floors but are easily adaptable to building on a same size concrete slab.